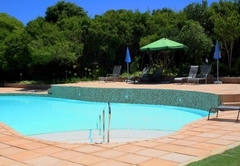 107 The Dunes is a property providing self catering in Keurboomstrand for up to 6 guests visiting the Garden Route region. 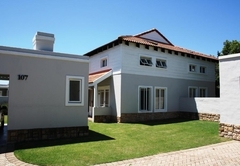 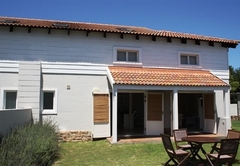 107 The Dunes is a privately owned six sleeper duplex situated in The Dunes Resort, Keurboomstrand. 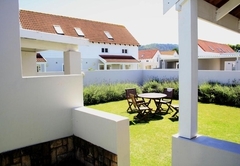 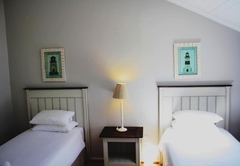 This stylishly decorated self catering unit offers a home away from home and the perfect base for a family beach holiday or to explore the magnificent Garden Route. 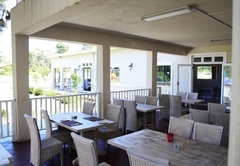 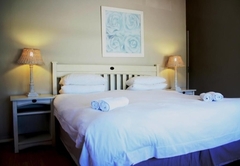 From here you are only 90 minutes from George Airport and within ten minutes drive from the centre of Plettenburg Bay. 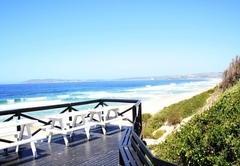 This ideal location makes exploring the Garden Route is a breeze. 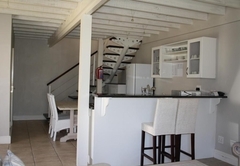 This six sleeper duplex unit has been stylishly furnished and has two spacious bedrooms, one with a King size bed and the other with two single beds. 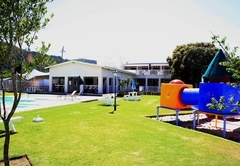 There are two bathrooms and a comfortable double sleeper couch in the lounge, perfect for small children. 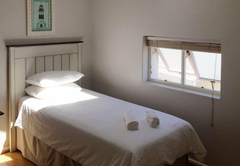 107 The Dunes is serviced daily (with the exception of Sundays and Public Holidays) with a linen and towel change every fifth day. 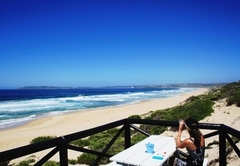 Bath towels are supplied but please bring your own beach towels. 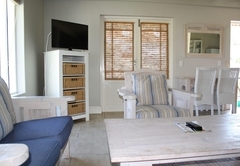 The cosy lounge area has a flat screen TV with DStv. 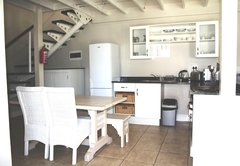 The kitchen is equipped with a microwave, stove / oven and a fridge / freezer. 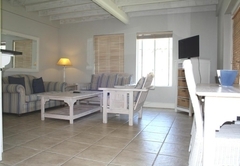 Outside you can enjoy the private garden and relax on the patio furniture. 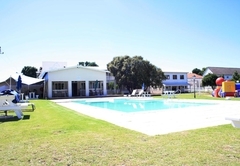 The Dunes Resort complex offers private access to the Keurbooms beach (300m from the unit), two sparkling outdoor swimming pools, a bar and restaurant, a games room and children's playground, mini convenience store, beauty salon, hairdressers, laundry service and more. 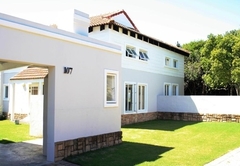 This 6 Sleeper Duplex unit has been stylishly furnished and comes complete with 2 spacious bedrooms, one with a King Size bed and the other 2 Single Beds, 2 bathrooms and a comfortable double sleeper couch in the lounge, perfect for small children. 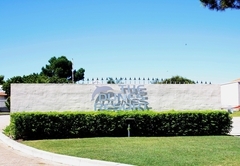 Response time107 The Dunes typically responds to requests in 5-10 minutes.